One entrepreneurial couple's story of going from food cart owners to opening an award-winning brewery. Want to open a restaurant or a food cart? Read on. The Sheehans at Elk Horn Brewery. Business team and spouses Colleen and Stephen Sheehan started small, then went big. 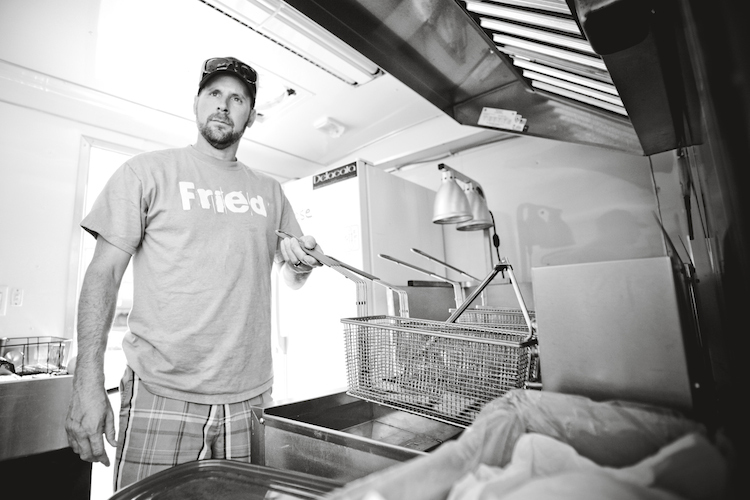 Tired of working for someone else, in 2010 they opened a Northwest-style-meets-Southern-cuisine food cart in downtown Eugene, Oregon. But in 2013, the Sheehans set their sights higher. Riding the current national craft beer boom, the Sheehans remodeled a two-story, 5,580-square-foot former Carl’s Jr. restaurant into Elk Horn Brewery. The brewpub opened in 2014 and is gaining renown for its unique food menu, beers, and ciders. Elk Horn also won “Best New Restaurant” in Eugene Weekly Best of Eugene 2014-2015. In the midst of managing employees, running two businesses, handling suppliers, discussing beer styles with their brewer, and taking on all the other challenges of running a brewery and restaurant, the Sheehans took some time to share their secrets to success. Who are you and how did you get where you are today? Colleen: We are a married couple and we both had cubicle jobs. We were tired of working for other people. We had a passion for food, so we decided to open a food cart. We used that as an experimental kitchen. Stephen was from the South, I’m from the Northwest, so we did a fusion. It was really successful, but we went as far as we could with a food cart. Then we learned about breweries and wineries, and saw what was happening locally. 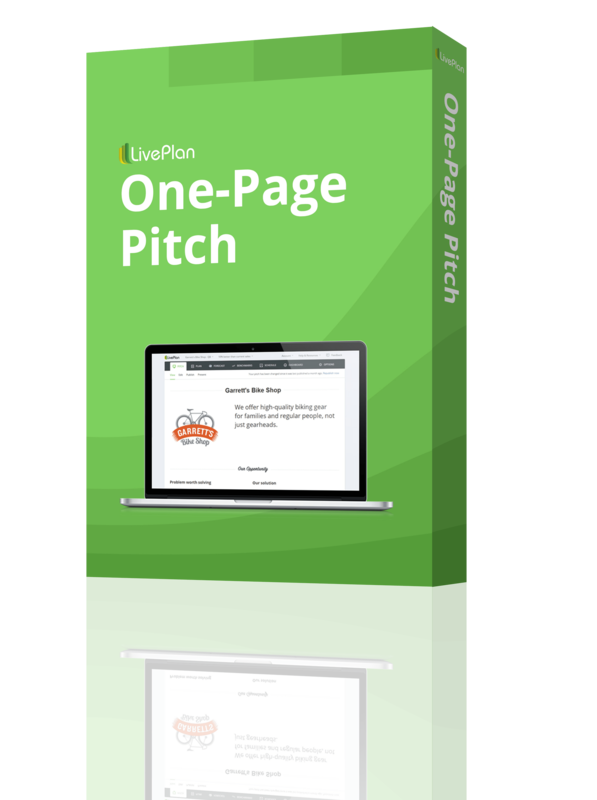 We wondered how we could be part of that, so we wrote an amazing business plan with the help of Palo Alto Software. Some of their people came down and had lunch with us at the cart, and let us use their LivePlan software. From there we developed Elk Horn. We didn’t come from a lot of money. We put it together by the skin of our teeth, put up everything we had. Instead of working for someone else, we wanted to work for ourselves, follow our dreams, and risk it all. Colleen: I make really good food and am good at organization. The books, scheduling, inventory, accounting, all that kind of stuff. Stephen: I’m good with people. Sales and marketing oriented, networking, that’s my expertise. I’m also a good cook and I love good beer. What inspired you to start your business, and why did you start? Stephen: We went out a couple of times when Colleen and I were dating, and we really couldn’t find traditional Southern food here in town. So we decided to open a Southern food cart. We tested out the idea with our families. Then Ninkasi Brewing, in about 2010, started having food carts at their tasting room. We didn’t have a cart yet, but I went down there in the rain, with some catfish, cornmeal batter, a burner, and two cast iron skillets, and cooked up catfish in the rain. They told me we were in and that once we finished building our cart, Ninkasi said we had a place. We did every event for a year, hauling the food cart all over town. After our first year, we were voted the best food cart in town. What was the biggest challenge you had in starting your business? Colleen: Delacata wasn’t as challenging because it didn’t require as much capital. The biggest challenge for Elk Horn was getting a loan. It took almost a year for the loan to come through. We had no savings, so we had to win them over. We just didn’t give up. We talked with them and kept going, convinced we would succeed. The ten percent of the company that we gave out were people who were a big motivational part. They weren’t guaranteeing the business, but by being on board the bank perceived us as a better risk. We also put together a solid business plan. We looked at every possible scenario, every worst-case scenario. If we weren’t making money in a month, how would we pay the bills? The University of Oregon marketing department also did a survey for us to see what beers and food worked best in a 50-mile radius. We even researched the most popular protein—chicken, as it turned out. It took us two years to get through this process, just to start work on the building. Did you always see yourself owning or running a business? Colleen: Yes. I felt like working for someone else was always a dead-end situation. I’ve always had two dreams in life: to be a pub owner and to be a pilot. I’ve got the pub, so now I’ve got to get to work on becoming a pilot. Colleen: We wake up, come straight to Elk Horn, and brew a pot of coffee. Once we get our coffee, Stephen talks with the kitchen staff while I take care of financials and reports, and go over the finances from the previous night. We talk with our floor manager, what the specials are going to be. Stephen calls around our distributors, and I put my head down and work on the books through the day. 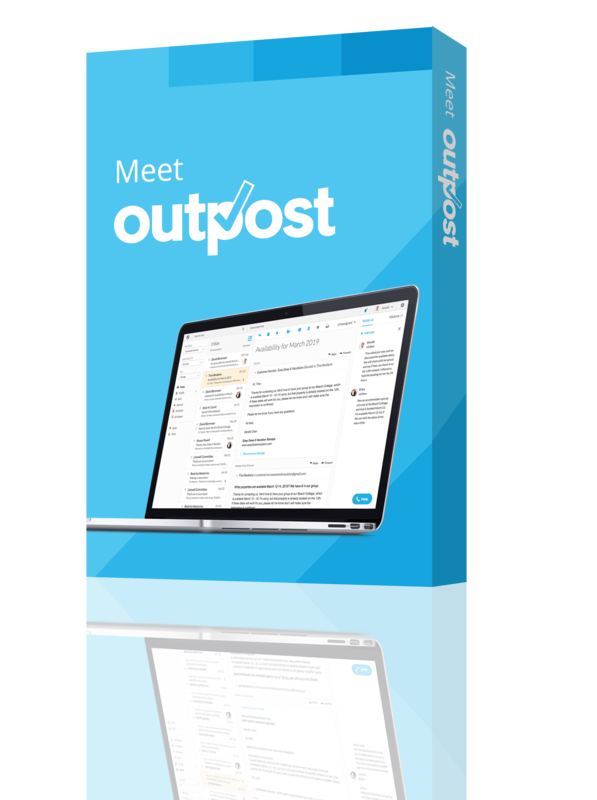 Stephen goes out and talks to customers, while also managing emails and doing marketing events. Stephen: I’m out on the floor a lot, going around to talk with customers. They really like that. They get up and shake my hand when they find out they’re talking with the owner. Delacata, the Sheehan’s food truck. 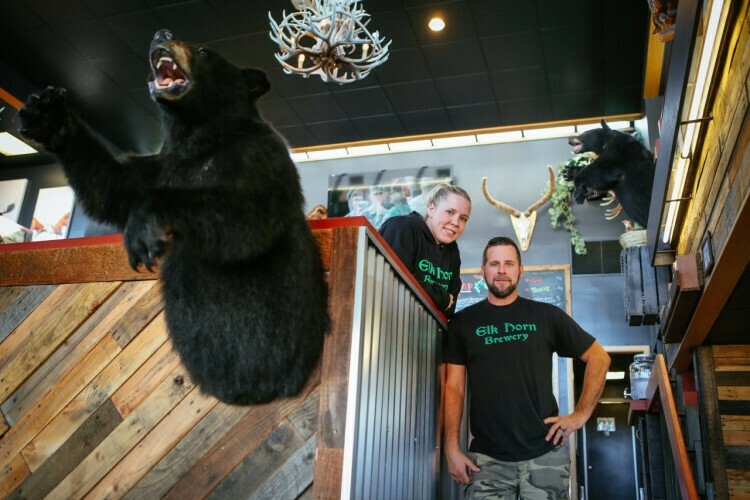 How did your experiences with a smaller operation such as the Delacata food cart inform and influence your planning when your were starting up Elk Horn Brewing? Colleen: We used it as a test kitchen: What did people in this area like and not like? Our identity has changed too. Our big thing was to be a gastropub with great food and great beer. Because we had a big food following, that came with us to the pub. But now our beer is really getting renown, so we are focusing on being a great pub with great beer, but also good food. Also, the labor costs are a bigger deal. With Delacata it was just us. Now we employ over 30 people at Elk Horn, and labor is our biggest concern and cost. What mistakes had you learned from? Stephen: Employee relations. I’ve managed people in the past, but I had an HR department. Having to hire, fire, and lay people off, it’s hard to do. The toughest battle is finding solid employees. In startup businesses, it’s hard to fill manager positions, plus minimum wage is really high for servers in this area. Servers get good money, but they come and go because there is always a better position somewhere else. Now we’re starting to fully realize that we no longer just have a food cart. There are places that have zero turnover, and we are adopting more things others do. We added an employee-of-the-month program, we work on providing meals and beers, and trips to Portland, but retaining people is still a tough one. You work in a crowded, booming industry. How did you plan for Elk Horn to stand out from the pack? Colleen: The food. We also took an opposite idea with what many Eugene breweries look like. We went with a hunting and fishing motif, with wild game. Our beers also have a big variety, especially for a small brewery. We have a passion for creating new and different types of food, and that has spilled over into our beers. We want to see how far we can push beer. We are planning a medicinal herb series, for example. There are wild plants that we can work into house beers. What makes you unique from your competitors, and how do you highlight that to customers? Stephen: We do a new release and tasting every Tuesday. With our proximity to campus, our flavored beers have been the biggest sellers. Our Georgia Peach Wheat has been hard to keep in stock. We go through it really quickly. Stout is one of those things that’s overlooked a lot. A lot of people say they want more stout, and we try to have four or five stouts on tap at all times. The big thing too is the market still doesn’t really know we exist. There’s a huge part of Eugene that doesn’t know about us yet, so we are working on increasing that awareness. The Sheehan’s in front of Delacata. If you were to make a timeline for your business, what would it be? Colleen: In January 2012 we started thinking about opening a brewery. It seemed simple: How could we get free beer for the rest of our lives? 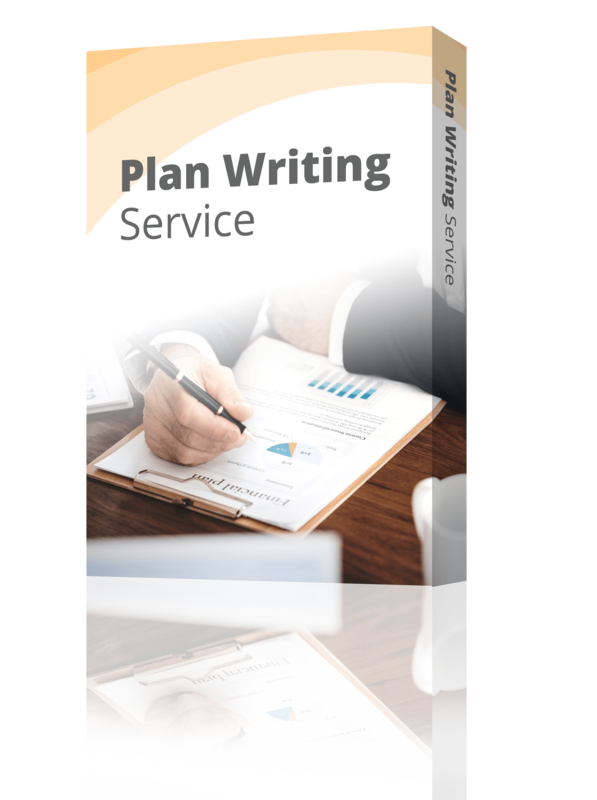 Over the next two to three months we really began doing the business planning. Our original plan was around a different building, but it fell through and that put us back to square one. It was August 2013 when we put an offer on the current building, after looking at about 15 different properties. We looked toward campus, saw the old Carl’s Jr. building, and were blown away. Great piece of property, with a split level, on a great location, and we had a lot of vision for it. We met with the leasing agent, said we don’t have money, barely have enough for equipment and minor improvements. Our only way forward was to talk directly with owners, share our vision, and see if they were willing to invest and make improvements. The owners met with us directly, instead of going through a middle man. We looked at other places, and no other owners would meet with us. But these owners sat down with us. We went over our vision. Lots of people wanted this location, but they only wanted the upstairs. Working with us made it a win-win: We were the only ones who wanted the entire building. We signed a ten-year lease. They gave us lots of tenant improvements and have remained around to help us. To this day they come in once a week to eat. How do you plan? Do you set goals? Colleen: Currently it’s all about distribution. We make our money in beer distribution, not so much on the food side. We want to do more than get by. We want to be a force, a leader in the area. Right now we’re hand-delivering everything. Our biggest short-term goal is local distribution, and we’re increasing our production to facilitate that. Our biggest long-term goal is to hit a new market. We don’t want to expand in the Northwest. It’s saturated. We are looking at the South to open another location, because it’s a new market. Do you track your financials? Stephen: Every single day Colleen goes through everything. We also have a bookkeeper. We use Quickbooks to track the financials. 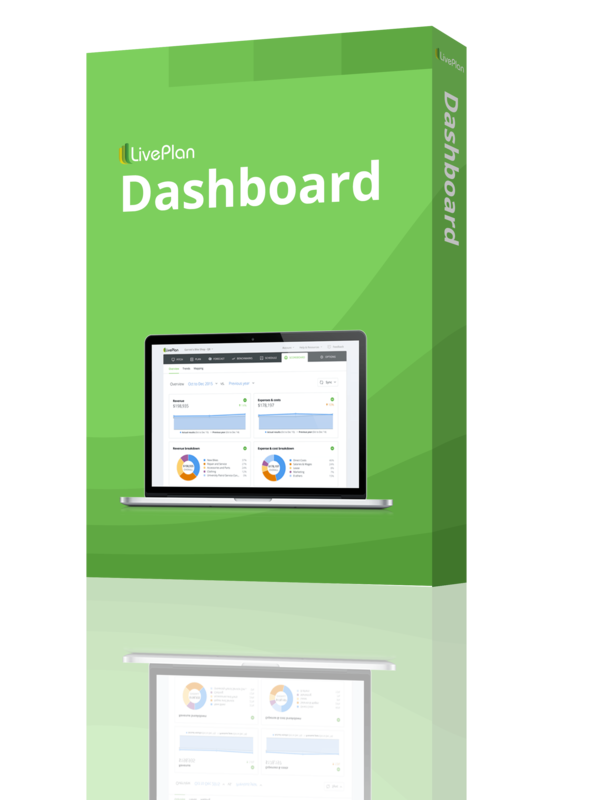 What are the most important metrics that you watch in your business? Colleen: At Elk Horn, labor is what we watch the most. Food cost is pretty stable right now. It’s a challenge trying to maintain our labor costs. With the split level, we have to have lots of people available. I go over everything with a fine-toothed comb: in-house consumption, production, inventory, etc. I’m always looking for ways to save another dollar. If you had to teach a business class, what advice would you give your students about starting and running a business? Colleen: Come up with a solid business plan. Whatever you think your highest expenses are going to be, quadruple that number. Be prepared for people to not like you. There’s always people who are not going to like you. You have to have a tough, thick skin, because no matter what, there’s lots of negativity out there. What is particularly hard about running a business? What about your business specifically? How do you cope with failure or setbacks? Colleen: Dealing with a huge staff is our biggest hurdle. There can be a lot of drama. We try to keep good support around us, and we have two Jack Russell terriers at home. We also have supportive family, and sometimes we call and vent to them. Family makes it easier: they listen and are there for us. It’s definitely not like the food cart. That was just us two. We did the work and put the money in the bank. Elk Horn is much more intense and involved. There are many highs and lows, trials and tribulations. Just when you think something is running okay, something happens—but the rewards outweigh the stress. When you’re running well, or winning beer competitions, or people say it’s the best food and beer they’ve had, you know you’re doing something right, someone likes it. We also do monthly charity events. For a whole month, proceeds from that tap go to a charity. We give back to the community, just like we would do with the cart too, and that giving back has also helped put us on the map. Colleen: The satisfaction on the customer’s face: they’re happy, and they are enjoying something you created. It’s a rewarding feeling. The satisfaction of the public’s reaction too. There are bad days, but as the old saying goes, this too shall pass. There have been more good days than bad. It’s getting easier too. Another thing with employees: When you find good people, it’s rewarding to know that you have a good relationship and they are making a living. We’re supporting families here, and we are helping 30-some people work. Steven cooks in the food truck. What do you read or study to stay on top of news in your industry? Colleen: All beer publications. We use those to stay on top of trends, what’s selling or not selling. We’ve started reading self-help books on working with employees. We go to conferences such as the Craft Beer Conference. Stephen: Ninkasi Brewing and Stone Brewing. Stone’s owner is probably one of the most down-to-earth, nicest brewery owners. He gave us tips on things he did wrong, things he learned. Such a nice guy. I’d love to follow in his footsteps. What are your favorite or most useful gadgets, apps, software, and so on to use in your business, and why? Stephen: I use Untapped all the time as a beer software, and lots of people use it to rate our beers. Facebook is our biggest marketing tool. If I didn’t have ___ I would never have been able to start my company. Stephen (laughing): We see where your priorities are! Colleen: Having a good partner and spouse. We work really well together. What I lack or am not good at, Stephen excels in, and what he lacks, I excel in. I think that can be unusual in a husband-wife business team. Stephen: I would include our brewer in that too. Sam is so good at implementation. We tell him what flavors and profiles we want, and he makes it happen. We couldn’t have asked for a better brewer, and I’d take him over any other I’ve met. What is the motto that you work by? 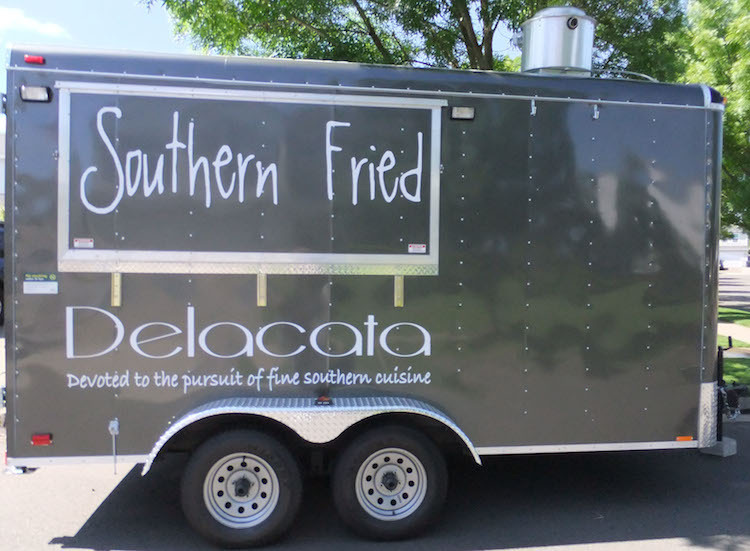 Colleen and Stephen Sheehan’s Delacata food cart can be found throughout Oregon’s Eugene/Springfield area; find current specials and locations at the Delacata Facebook page. Visit Elk Horn Brewery at 686 E Broadway St., Eugene, OR, or online. 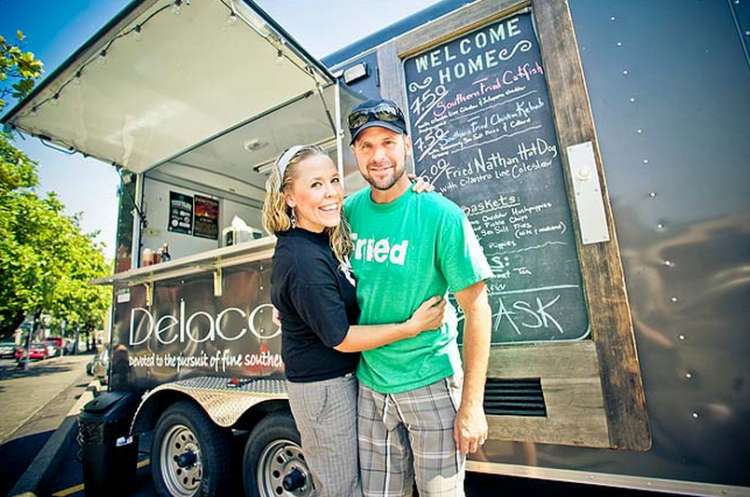 This interview was conducted in 2015 with Colleen and Stephen Sheehan, co-owners of Delacata food cart and Elk Horn Brewery.